Wedding Gown Photo | Planner Arianna Ocampo - Wedding and Events Manager One & Only | The distinctive pattern of the doors at the luxury resort One and Only Palmilla frame this bride's blush couture gown by Monique Lhullier. We love photographing at the One & Only for several reasons. 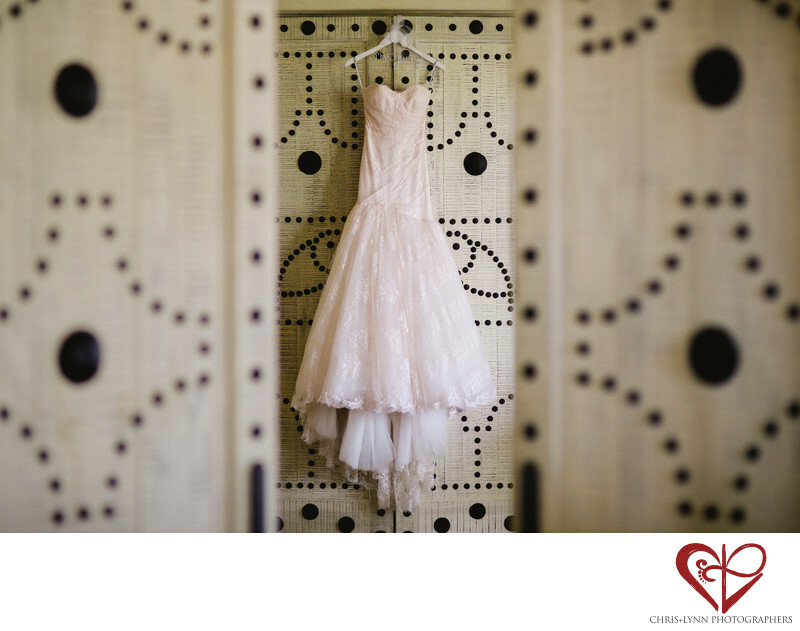 First, the rooms are so spacious and lovely for the bride to get ready in. Secondly, the venue has the perfect combination of lush jungle vegetation and pristine private beaches. And finally, the resort is so exclusive and spacious that even if it is at 100 percent capacity, it feels like your own private estate; you will never have onlookers watching during your photo session or ceremony. As Cabo wedding photographers, our favorite wedding venues in the Los Cabos area include Villa Santa Cruz, Rancho Pescadero, Hotel San Cristóbal, One & Only Palmilla, Esperanza Resort, The Resort at Pedregal, Hotel El Ganzo, Pueblo Bonito Sunset, Club Campestre, The Cape Hotel, Sunset Mona Lisa, Chileno Bay Resort, Cabo Azul, Flora Farms, Las Ventanas, Villa Bellisima, Villa Vista Ballena, JW Marriott Los Cabos, Hilton Los Cabos, Riu Palace, Riu Santa Fe, Hyatt Ziva, Pueblo Bonito Pacifica, Secrets Puerto Los Cabos, Dreams Los Cabos, Hacienda Beach Club & Residences, Sandos Finisterra, Grand Solmar, Casa Dorada, ME Cabo, Hacienda Encantada, Marquis Los Cabos, Cabo Surf Hotel, Hotel Mar Adentro, Secrets Puerto Los Cabos, Hacienda Cerritos, Las Cruces, and the Sheraton Hacienda del Mar. 1/500; f/1.8; ISO 400; 85.0 mm.